Every kitchen pantry needs proper storage vessels for various food. 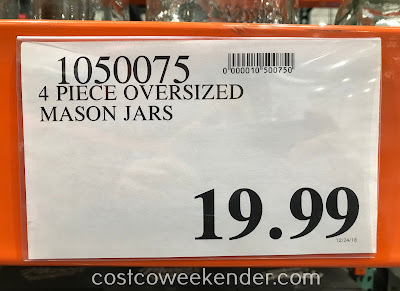 It's a good thing Costco has Oversized Mason Jars. 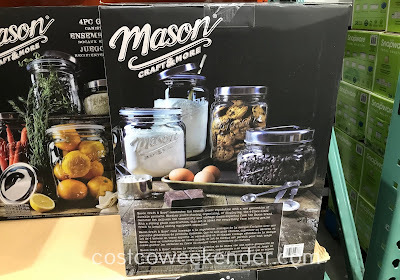 These mason jars can easily store various foods and treats like dried pasta, flour, sugar, cookies, candies, etc. These Oversized Mason Jars are airtight and will keep your food fresh longer. 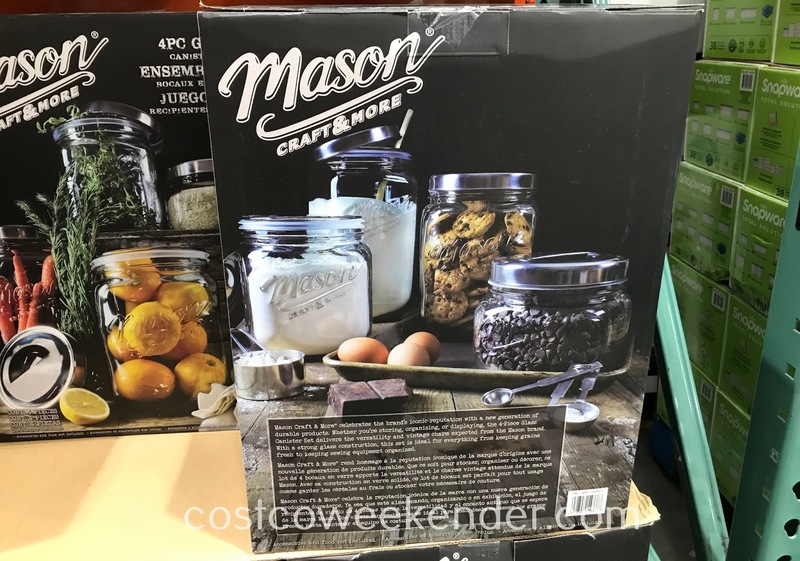 These Oversized Mason Jars come in a set of 4 and is great for any home pantry. 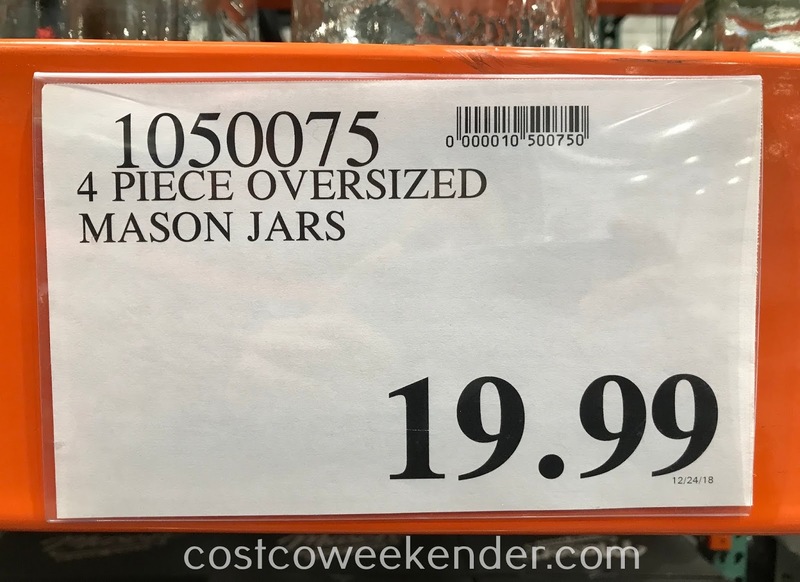 Not only can you use these Oversized Mason Jars for food storage, but you can use it to for arts and crafts projects and/or materials, as a decorative vase for flowers, table centerpieces, or as gifts with treats inside for friends and family. Mason Craft & More celebrates the brand's iconic reputation with a new generation of durable products. Whether you're storing, organizing, or displaying, the 4-Piece Glass Canister Set delivers the versatility and vintage charm expected from the Mason brand. 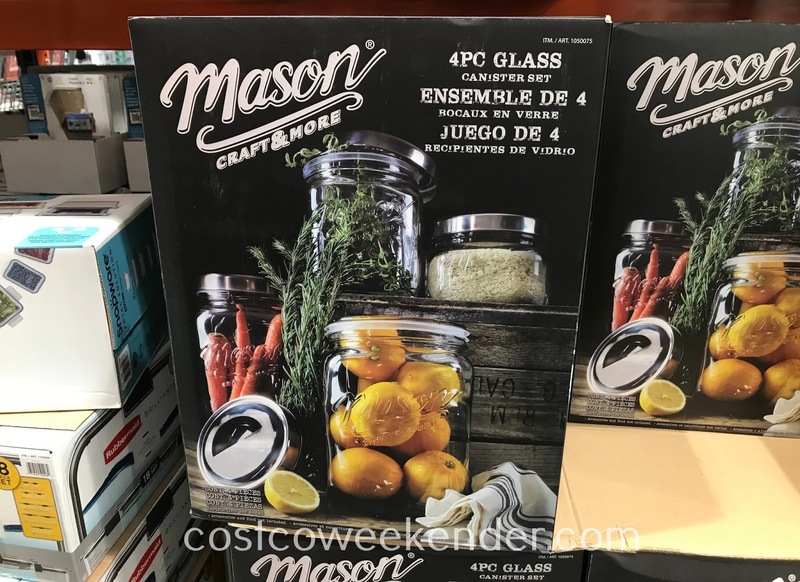 With a strong glass construction, this set is ideal for everything from keeping grains fresh to keeping sewing equipment organized.